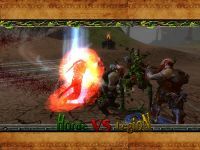 There are two distinct variants of "horde VS legion". The Classic variant takes elements from DotA and puts them into the world of Savage 2. Both teams need to upgrade their troops and waypoints in order to overwhelm the enemy. The latest version of hvl (hvl 2) comes with a new game concept and tons of new features. Both teams need to capture and control the sectors on the map in order to advance their technology and unlock new abilities. 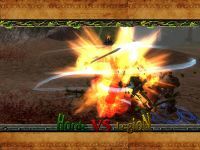 Horde VS Legion 2.0.1 is out now! I've added lots of new features and improved the game mechanics a lot. I've also added 10 new screenshots here on ModDB to illustrate the changes. And I working on gameplay and tutorial videos -- coming soon :). Heroes of Newerth is based on lore of Savage. 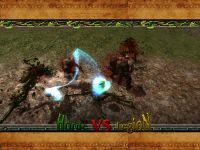 But Savage is actualy a hybrid of action/rpg and rts, while HoN is almost a copy-past of WC3FT DotA with new heroes from Savage lore and totally new engine and graphics. However I will give it a shot. Seems like an FPS version of the same game. Could be good. HvL goes into the direction of DotA, but it really doesn't play like it at all. The game mechanics are very different and much more forgiving than DotA could ever be. And yes, the game has nothing to do with WoW and is NOT and MMO. 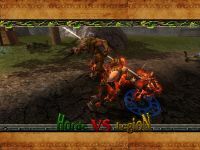 It's called "horde vs legion" because these are the two races fighting against each other in the world of Newerth. The game has it's own story and lore.